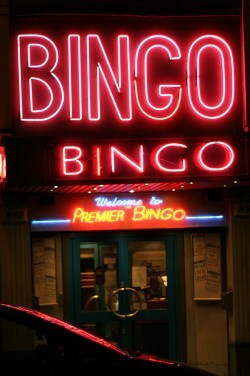 With only $5 to their name, the O’Briens hit a bingo hall in the hope that Mary can turn $5 into something more. 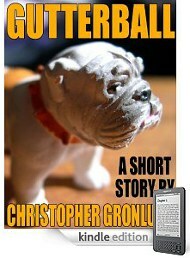 “Gutterball” is a short story about a bulldog with an eating issue. I recorded the story as a test before recording Hell Comes With Wood Paneled Doors. I’ve mentioned wanting to release Hell Comes With Wood Paneled Doors as an e-book. I also used “Gutterball” to test formatting for the Kindle. You can see what kinds of writing I do when I’m not writing humorous coming-of-age stories here. 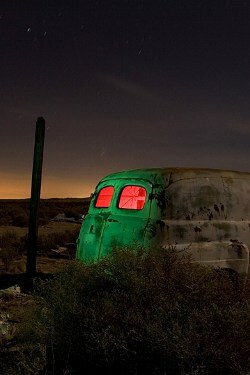 I stumbled upon Troy Paiva’s Lost America website in 1998 and instantly fell in love with his photography. 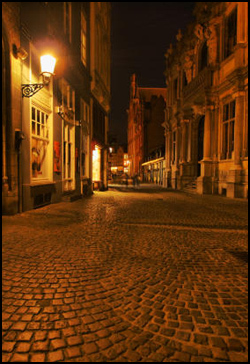 Not only was Troy out on the road taking photos…he was taking night photos of all the places time has forgotten; the kinds of places I’ve loved all my life. Troy gives life to things long dead — the things most people don’t give a second look as they drive by. 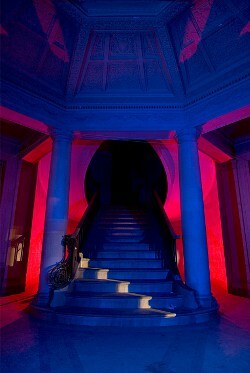 With an eerie glow, Troy resurrects the past and creates physical dreamscapes. I’m giving away a signed copy of Troy’s book, Night Vision: The Art of Urban Exploration (and a handful of other goodies!). The book is beautiful — and it’s not all photos. There is a lot of commentary throughout the book as well. All you have to do to be eligible to win is leave a comment on roadtripfromhell.com letting me know what you like about Hell Comes With Wood Paneled Doors. You can also send email, or use the contact form on the website. Or…just “Like” the Road Trip From Hell Facebook page. 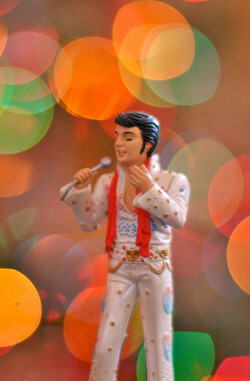 On January 8 — on what would have been Elvis Presley’s birthday — a winner will be selected and announced on the podcast chapter loaded on January 9, 2011. If you want to see the kind of work Troy does, look no further. 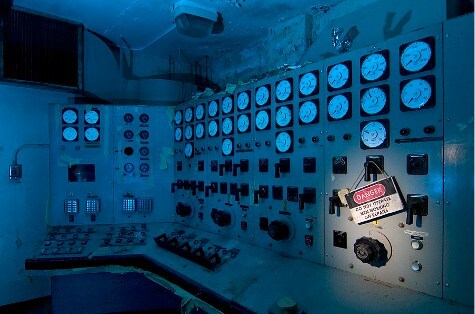 Some of these images are in Night Vision: The Art of Urban Exploration, and some are from his website. In the current episode of Hell Comes With Wood Paneled Doors, there’s a section where Michael talks about his fathers feeling about what we’ve lost as a nation when we went from state highways to interstates dotted with corporations. 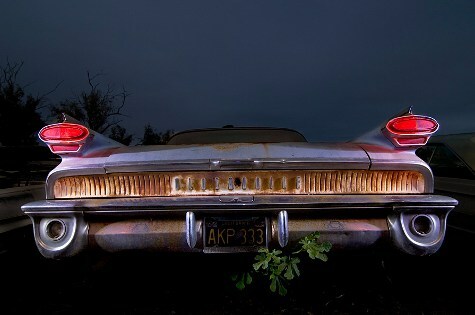 I love this photo — a ’58 Rambler (with a Gremlin in the background)! I love it because James traded a Gremlin in for the Inferno in Hell Comes With Wood Paneled Doors. 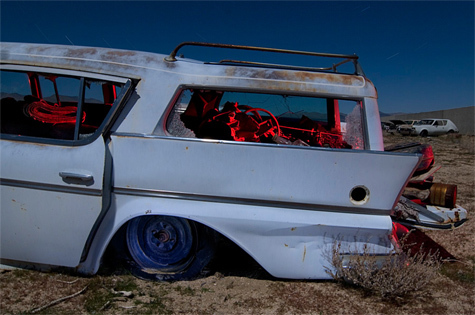 I’ve always seen the Inferno as a cross between a ’58 Rambler and a ’57 Chevy Nomad wagon. All photos copyright Troy Paiva. Today I’m recording one of my favorite chapters in Hell Comes With Wood Paneled Doors. In the next chapter (available late Saturday/early Sunday), the O’Briens visit Graceland. It’s an experience that changes Mary’s life forever. 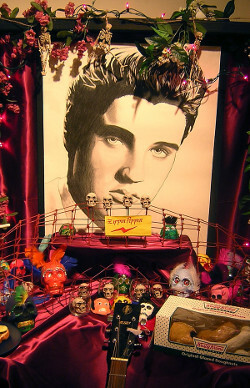 Elvis shrine photo courtesy of Theogeo. Much of the United States is experiencing an arctic blast and preparing for the mad rush of Thanksgiving. What better way to come in from the cold and relax than listening to some surf music? So grab a beer or cocktail and pretend you’re someplace warm, ’cause here we go! Antoine Pottier (from Pirato Ketchup) shared this on his Facebook page. Gotta love the swapping with the drums on a surf tune everybody knows. Oh, Hell–one more by Man…or Astroman; this time, with a theramin! One of my favorite surf surprises was seeing Shadowy Men on a Shadowy Planet open for the Dead Milkmen years ago. And in his 70s, not even cancer can stop him! – “Miserlou” again. To all the new visitors visiting roadtripfromhell.com from Belgium: if my high school French allowed me to say more than just “Je m’appele Christophe. Je suis américain. J’habite au Texas,” or had I picked up more Flemish from the foreign exchange student from Belgium in my school 23 years ago, I’d give you all a proper thank you! When I started the Hell Comes With Wood Paneled Doors podcast, I knew I wanted the opening theme to be surf music. 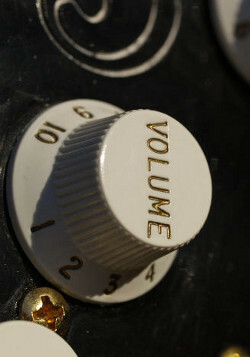 But not just any old surf music — I wanted something with a lot of energy, something that made me think of a big, possessed station wagon flying down the highway out of control. 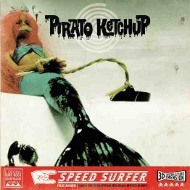 A Creative Commons search led me to a surf band in Belgium called Pirato Ketchup. Their song, “Escape from Tridion” was exactly what I was looking for. Here’s a video of them performing the song live. Since I post new episodes of Hell Comes With Wood Paneled Doors on Sundays, I figured something in the middle of the week would be nice. I’m currently kicking the tires and filling up the tank for the Hell Comes With Wood Paneled Doors podcast. 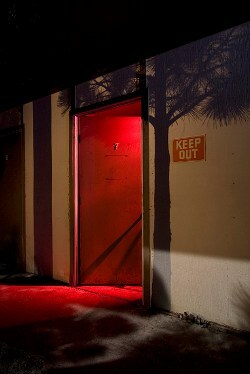 What the Hell is Hell Comes With Wood Paneled Doors? Hell Comes With Wood Paneled Doors is the first novel I ever wrote, a humorous coming-of-age story about a family traveling cross country in a possessed station wagon. I’ve decided to release Hell Comes With Wood Paneled Doors as a podcast. Sounds Cool–When Does it Start? 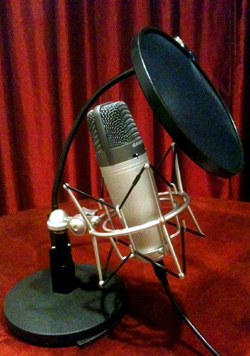 On Sunday, 10/03/2010, the The Hell Comes With Wood Paneled Doors podcast begins. Every week, I’ll post a new chapter. Right now, I’m still in the process of creating the site, but I hope you’ll come along for the ride.